Are you a restaurateur aiming to grab as many customers as you can? Do you have much on offer, but finding difficult to reach your potential. A Digital menu board would definitely help to drive sales growth at a restaurant or at any point of sales. But, you should make it stand-out in a huge crowd. One way to maximize sales for a QSR or Fast Casual Restaurant is to use dynamic digital menu boards, but implementation can be overwhelming. How do you justify the cost to implement them? 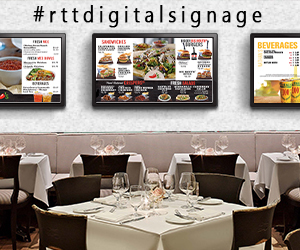 Increase Sales 15%-20% with Digital Menu Boards. Signup now!